The Centre for Brexit Studies is proud to announce the speakers for its first annual conference this year. The event, which is to be held on 16 and 17 March in Birmingham, will feature a range of speakers from the worlds of politics, business and academia, in addition to presenting CBS's own research and findings. Centre Director Alex de Ruyter, said: "We're pleased to announce the fantastic line-up of speakers from a whole range of backgrounds, all coming together to discuss their professional findings and opinions on Brexit. 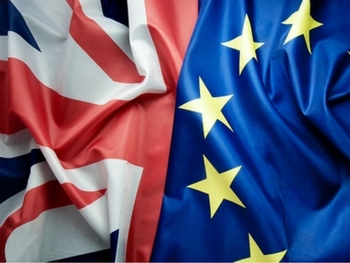 "Although the UK may have made the decision to leave the EU some eighteen plus months ago, what Brexit will actually mean for Britain remains a topic of debate, particularly amongst business owners and politicians. The Centre has always sought to engage with both the 'Remain' and 'Leave' perspectives and indeed our choice of speakers and panel members has been chosen with this in mind, so that both sides of the argument are presented. Anna Soubry has been the Member of Parliament for Broxtowe in Nottinghamshire since the 2010 general election. Anna was Minister for Small Business from the 2015 general election, also attending meetings of the Cabinet, but chose to return to the backbenches in July 2016. She previously served as Minister of State for Veterans (from 2013 to 2015) and Minister for Public Health (2012 to 2013). Before being elected to Parliament, Anna was successful in a number of other careers throughout her life, working as a TV reporter, a criminal barrister and a journalist. The Independent's Simon Carr has stated that "she has a record of unusually free speech". Thomas Cole is Head of Policy & Research at the leading pro-European organisation, Open Britain and is a long time EU expert, with in-depth Brussels experience, including as a negotiator for the European Commission on EU foreign policy. He is a regular media commentator on Brexit and developments in the European Union and has previously worked as an independent international political analyst as well as political consultant on EU developments for the private sector. Vernon Bogdanor CBE is Professor of Government at the Institute of Contemporary British History, King’s College, London. He was formerly, for many years Professor of Government at Oxford University. He is a Fellow of the British Academy, an Honorary Fellow of the Institute for Advanced Legal Studies, a Fellow of the Royal Historical Society, and a Fellow of the Academy of the Social Sciences. He has been an adviser to a number of governments, including those of Albania, Czech Republic, Hungary, Kosovo, Israel, Mauritius. Slovakia and Trinidad. He is a frequent contributor to TV, radio and the press. In 2008, he was awarded the Sir Isaiah Berlin Award by the Political Studies Association for Lifetime Contribution to Political Studies. In 2009 he was made a Chevalier de la Legion d’Honneur by President Sarkozy. He is an Honorary Fellow of The Queen’s College, Oxford, an Honorary D. Litt. of the University of Kent, and an Honorary Bencher of the Middle Temple. Patrick Minford is a macroeconomist who holds the chair of Applied Economics at Cardiff University where he directs the Julian Hodge Institute of Applied Macroeconomics. Before academic life he was an economic adviser to Her Majesty's Treasury's External Division and editor of the National Institute Review. From 1976 to 1997, he was the Edward Gonner Professor of Applied Economics at Liverpool University where he founded and directed the Liverpool Research Group in Macroeconomics; this built the ‘Liverpool Model’ of the UK, which was influential in forecasting and policy analysis during the 1980s. He was a member of Monopolies and Mergers Commission 1990-96; and one of the H M Treasury's Panel of Forecasters ('6 Wise Men') January 1993-December 1996. He was made a C.B.E. for services to economics in 1996. His economic interests include monetary, trade, labour market and macro economics and modelling. Recent publications include: Should Britain leave the EU? An economic analysis of a troubled relationship, (with S. Gupta, V. Mahambare, V. Le and Y. Xu) Edward Elgar, second edition, (2015). Anastassia is Head of Trade Policy at the British Chambers of Commerce (BCC), devising and advocating policy positions on the UK’s exit from the EU, the UK’s trade relations with the rest of the world, as well as export support for businesses. The BCC represents 75,000 companies of all sizes and within all sectors, who employ nearly 6 million people around the UK. Prior to the BCC, Anastassia worked in corporate communications, having studied at the University of Oxford and at Sciences Po in France. Following a series of roles at Ford, 3i and Legal & General, Bernard was elected to Parliament in 1992. He subsequently served as Shadow Secretary of State for Transport, Shadow Secretary of State for Defence, and as a Shadow Minister for Energy. Between 2006 and 2010, Bernard served as a member of the House of Commons Defence Select Committee. From 2010-2015, Bernard chaired the House of Commons Public Administration Select Committee. In 2015, the remit of the Committee was expanded to also include constitutional affairs and it became the Public Administration and Constitutional Affairs Committee (PACAC). Bernard has chaired PACAC since 2015. Bernard is a member of the Executive of the 1922 Committee of backbench Conservative MPs and is the author of a number of publications on the European Union, UK defence policy and Conservativism. Dr Charlotte Galpin is Lecturer in German and European Politics and Deputy Director of the Institute for German Studies at the University of Birmingham, UK. Her research interests include European identities, EU citizenship, the European public sphere, and Euroscepticism. Recent publications include her monograph, “The Euro Crisis and European Identities: Political and Media Discourse in Germany, Ireland and Poland”, published in 2017 with Palgrave Macmillan, ''Brexit' in transnational perspective: an analysis of newspapers in France, Germany and the Netherlands (co-authored with Patrick Bijsmans and Benjamin Leruth), published in Comparative European Politics, and 'Performing Brexit: how a post-Brexit world is imagined outside the UK' (co-authored with Rebecca Adler-Nissen and Ben Rosamond) published in the British Journal of Politics and International Relations. Alex de Ruyter is Professor and Director of the Centre for Brexit Studies at Birmingham City University. He brings a wealth of research experience and academic engagement in Brexit and the related areas of regional economic development, skills and labour market issues. He has published over 50 academic outputs in leading national and international journals and has been the recipient of research funding, including being an investigator in the ESRC funded study on the effects on subsequent employment experience of workers from MG Rover after plant closure in 2005. Dr Rebecca Semmens-Wheeler completed her BBSRC-funded PhD in 2012 at the University of Sussex, where she researched metacognition Awareness meditation and hypnosis. She has been researching and lecturing in Psychology since 2006, and joined BCU in 2016. She is currently carrying out research on the Impact of Age UK, attitudes towards Brexit and the role of community in Buddhism. She also currently teaches Neuropsychology, Cyberpsychology and Applied Social Psychology. Paul Forrest is a Visiting Professor of Economic Analysis at Birmingham City University. He is currently Head of Research at the West Midlands Economic Forum (WMEF), a neutral, independent forum designed to bring together the private, public, and voluntary sectors to discuss and evaluate local economic performance. The WMEF seeks to foster greater understanding of sustainable trends within the regional economy, placing them in a global context. The WMEF has undertaken extensive research on the overall regional economy and its different aspects, which are published on the website www.westmidlandseconomicforum.co.uk. Prior to establishing the WMEF, Paul developed extensive global financial experience working as an economist for over 20 years in the City of London, for British, Japanese, and Russian financial institutions. This period also included a secondment to the British Embassy in Moscow, to examine the potential structure of British trade in the Russian Federation. In 2008-9, he worked as an advisor to the European Department of Institute of International Finance, Washington DC. Prior to his career in the City, he worked in Papua New Guinea for 6 years in economic development. Ewan is currently the Senior Personal Tutor on the LLB Programme within the Law School. He joined Birmingham City University in August 2001, having previously completed his PhD in Copyright Law at Solent University. Ewan teaches EU Law and Intellectual Property Law at undergraduate and postgraduate level. His areas of research interest include intellectual property law and internet law. Among her recent activities, the EU-F7 IRSES - Chinese FDI in the EU "CHEUFDI" (2013-2016), a joint project in agent-based modelling for environmental security and innovation, and an ongoing research on the EU space industry. Latest book: S. Paladini (2016) Asian Worlds in Latin America, London:Routledge. Dr. Arantza Gomez Arana is a lecturer at the School of Social Sciences at BCU. She publishes regularly on European Union subjects and is currently writing a single authored monograph on “Brexit and Gibraltar: The Negotiations of a Historically Contentious Region” as part of the Brexit Studies Series (Emerald) developed by the Centre for Brexit Studies. David Bailey is Professor of Industrial Strategy at Aston Business School. He has written extensively on industrial and regional policy, especially in relation to manufacturing and the auto-industry. His recent research has been funded by a number of state and private organisations. David is now Chair of the RSA Europe Think-Tank and policy forum. He is the Editor-in-Chief of the journal Regional Studies, as well as an editor of Policy Studies, and the Journal of Industry, Competition and Trade. Leslie Budd is Reader in Social Enterprise at the Open University Business School. He is an economist who has written on urban and regional economies in relation to the EU, digital social inclusion, and global financial markets. Leslie was Special Economic Advisor to the Committee for Enterprise Trade and Investment (CETI) at the Northern Ireland Assembly providing briefings, including one on the impact of Brexit in Northern Ireland. His recent edited books (with David Bailey) build on his work in these policy areas. James Carver was elected to the European Parliament as one of 3 West Midlands UKIP MEP’s in 2014. A former Social Democrat, James joined UKIP in 1996, and has spent more than 20 years campaigning for UKIP and for British Independence from the EU. James is currently the party’s Assistant Deputy Leader and sits on the European Parliament’s Foreign Affairs Committee, where he is an advocate for Yemen and Somaliland. He is also a businessman and still oversees the family umbrella business. John Mills is an entrepreneur and economist who has long been involved with political matters. He is Chairman of John Mills Limited (JML), which specialises in selling high volume consumer products, using audio-visual methods of promoting their sale both in the UK and internationally. For many years he was involved with local government on both a regional and national level, with his base in the London Borough of Camden. In the late 1980s he was Deputy Chairman of the London Docklands Development Corporation. A long-time Eurosceptic he was Chair, then Vice-Chair of Vote Leave and then Chair of Labour Leave, during the run up to the June 2016 EU referendum. His main interests as an economist are the relatively poor performance of western economies compared with those in the East, a subject on which he has written eleven books, regularly blogs and frequently comments on radio and TV. He is Chair of a think tank called Labour Future. Mark Boleat has substantial experience in a wide range of businesses, public and third sector organisations. The positions he has held include: Director General of the Building Societies Association, the Council of Mortgage Lenders and the Association of British Insurers; Chairman of the City of London Policy and Resources Committee, the Channel Islands Competition and Regulatory Authorities, the Jersey Development Company, Link Scheme Holdings Ltd, Yatterbox Ltd, the Association of Labour Providers and the Housing and Finance Institute; Deputy Chairman of TheCityUK and the International Regulatory Strategy Group and Vice Chairman of London Councils; Board member of the Regulatory Policy Committee, the National Consumer Council, the Gibraltar Financial Services Commission, Countryside Properties, Scottish Mutual, Abbey National Life, Homes for Londoners and Travelers Insurance Company. Mark completed a five year term as Policy Chairman of the City of London Corporation in May 2017, during which time he was also Deputy Chairman of TheCityUK and the International Regulatory Strategy Group. He now holds a portfolio of positions including Chairman of Link (which runs the country’s ATM network), Chairman of the Housing and Finance Institute and Senior Associate Fellow at the Centre for European Reform. Vicky Pryce is an economist and business consultant. She currently sits on the Department of Business Innovation and Skills’ panel monitoring the economy. She is also on the City AM’s Shadow Monetary Policy Committee. Her former roles have included Senior Managing Director at FTI Consulting; Director General for Economics at the Department for Business, Innovation and Skills and Joint Head of the UK Government Economics Service where she was responsible for evidence based policy and for encouraging measures that promoted greater productivity in the UK economy. Saqib Bhatti is the Vice President for the Greater Birmingham Chamber of Commerce, as well as Director of accountancy firm Younis Bhatti & Co.
Saqib is a passionate supporter of SMEs in the strategic development of the West Midlands and frequently engages with top stakeholders on both a local and national scale to ensure continued growth for these businesses. Gerard Lyons is a British economist and writer. He is an expert on the world economy, global financial markets and on economic and regulatory policy, focusing on international banking. His recent works include ‘Clean Brexit’ which explores a vision of how the UK can make a success of Brexit. Anthea McIntyre is one of two MEPs representing the West Midlands region in Europe. As Conservative Spokesperson for Employment and Social Affairs, Anthea also sits on the Employment Committee as the co-ordinator for the European Conservatives and Reformists (ECR) Group, where she works to support SMEs in the West Midlands. For further information and to purchase tickets for the conference, please visit the Eventbrite page.